A cycling trip that ends in Ontario’s Niagara wine country sounds good to me. There will be the happy sounds of corks popping when the sixth annual Great Waterfront Trail Adventure rolls into Fort Erie on August 17. 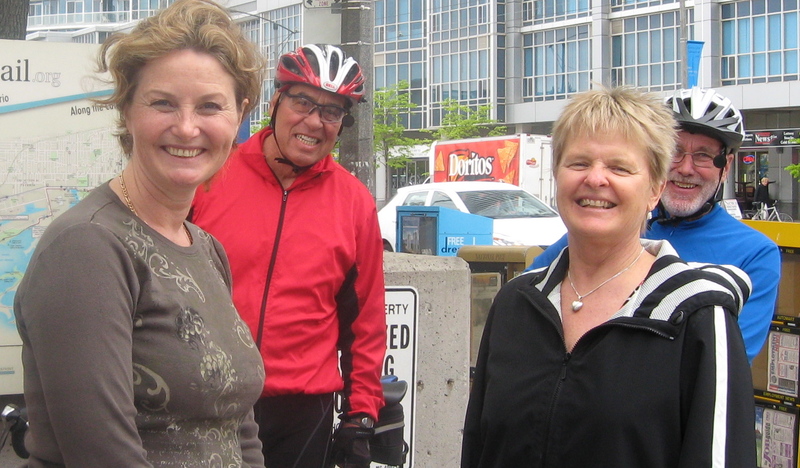 Organizers Marlaine Koehler and Vicki Barron are very excited about the ride this year. They will toast the opening of a new leg of the Waterfront Trail. It is a stretch of 620 kilometres from near Windsor through some stupendous scenery including Point Pelee National Park and alongside many vinyards. The ride is scheduled for August 11-17. It started in 2008 and has used the trail from Niagara-on-the-Lake running alongside Lake Ontario and the St. Lawrence River to Quebec for the past five years. It usually attracts about 150 riders.